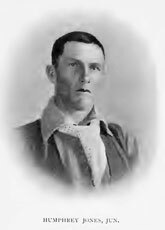 Extracts from "Through the Heart of Patagonia"
In September 1900, a young British writer arrived in Trelew, Northern Patagonia. 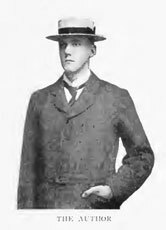 Hesketh Prichard had been commissioned by C. Arthur Pearson, owner of the Daily Express newspaper, to search for the mysterious mylodon. When well-preserved remains of this creature were discovered in 1895/96 in a cave near Puerto Consuelo, Última Esperanza, speculation focussed on the possibility that the species might have survived somewhere in the fastnesses of the Southern Andes. 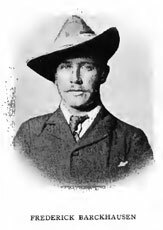 Prichard's travelling companions included Burbury (a local rancher) and Scrivenor (a geologist), plus several gauchos; they set out on horseback into the largely unknown and unpopulated Patagonian interior. Along the way, he recorded the flora and fauna, but failed to find any mylodon: the creature is now known to have been extinct for several thousand years. The journey was to be a long one. Their first goal, Lago Buenos Aires, was reached in two months. 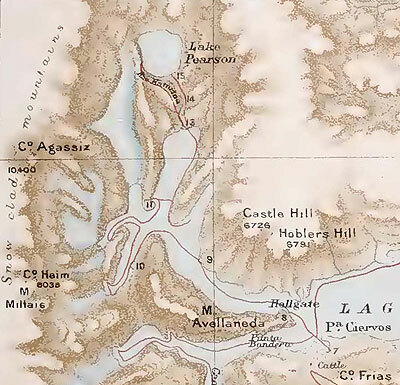 After returning to the Atlantic coast in January 1901 to revictual at Puerto Santa Cruz, the travellers turned west again, heading for Lago Argentino, finally leaving the region by way of Río Gallegos and Punta Arenas. The whole trip lasted 9 months, covering some 2,000 miles of isolated country, under difficult and often dangerous conditions. 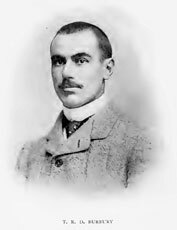 The resulting book "Through the Heart of Patagonia" was well-received, and Prichard was to make further adventurous journeys in the following years. 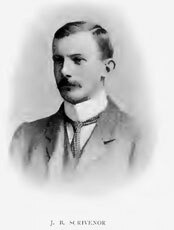 The extract presented here describe Prichard's attempt to discover an unknown large lake whose existence had been postulated by the Argentine scientist Dr. Francisco P. Moreno in an article published in 1899. 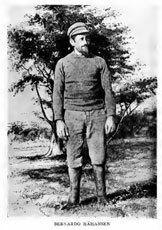 For this purpose, Prichard made a detour to Lago Viedma to "borrow" a motorized launch which had been used in 1898 by the Chile-Argentina Boundary Comission. The search was ultimately successful, although the new-found lake [coded 15 on the map above] was smaller than Moreno had expected. Prichard named it Lake Pearson, after the expedition's sponsor (nowadays Lago Anita); while the river [coded 13 on the map] which drains it into Lago Argentino was named Katarina River, after Prichard's mother (nowadays Río Caterina). A decade later, in 1914, the British settler Percival Masters would establish Estancia Cristina in this valley.